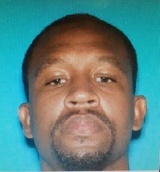 Roscoe Leon Hilliard, a 37-year-old black man, was shot and killed Sunday, May 22, in the 900 block of West 80th Street in Vermont Knolls, according to Los Angeles County coroner’s records. About 3:30 p.m., Hilliard was walking home with a woman when a person walked up and shot him multiple times, said LAPD Det. Chris Barling. “No words were exchanged,” Barling said. Hilliard, who lived in the area, was taken to a hospital where he was pronounced dead, according to coroner’s records. The woman was not injured. The killing does not appear to be related to any gang feuds, Barling said. Police believe the killer is male, black and in his teens or early 20s. The attacker ran south on South Vermont Avenue after the shooting. — Hoover joint May 9, 2018 at 2:40 p.m.
— William Collette Oct. 23, 2017 at 3:41 p.m.
— Walterriley Wolfe June 29, 2017 at 9:54 p.m.
A true gentle giant he was. I've known this man since Jr High we laughed we loved we lived.Years passed with alot of distance and we still managed to find each other again . And for a brief moment we were able to live in that time when life was easy. And for each day I was able to say I was apart of knowing him I will carry with me. R.I.P. Kind Soul ..Fly High and do like you said you would KEEP ME SAFE!!!! — Brandi B. June 23, 2016 at 2:04 a.m.
— SightsNSounds June 13, 2016 at 12:16 p.m.
— Goodie June 1, 2016 at 6:32 p.m.
What a terrible world we live in today, So so sorry to hear about this tragedy. I pray that one day we can all get along "much better" than we do. Glad that the women was not harmed....peace unto this world. — loving person May 29, 2016 at 10:29 p.m. I was listening to the LA Police live feed late at night as this came in from my comfortable bed in Southern England. Odd to think that I could be listening to a man fighting for his life and the police response in desperately trying to find those involved in stealing his life from him three thousand miles away. People who are fortunate to live and crucially are fortunate enough to have grown up in a safe environment like mine perhaps do not realize how lucky they are. I hope his killers are found so they cannot take anyone else's future from them. — Jon May 28, 2016 at 8:38 a.m.
— william Collette May 26, 2016 at 9:49 a.m.
We was laughing and talking. Enjoying our Sunday...within a mount of time you was taken away from me just that quick. Im still thinking about you and continue to love you Roscoe..
— Chanita Allen May 25, 2016 at 11:46 p.m.
— william Collette May 25, 2016 at 10:24 a.m.